Paisley Halloween Festival is in the running to be named the UK’s Spookiest Halloween Event 2018 – and needs your vote to win! The ‘spooktacular’ event has been chosen by leading holiday rentals site HolidayLettings.co.uk (owned by TripAdvisor) as one of the final 10 competitors in its UK’s Spookiest Halloween Event competition. 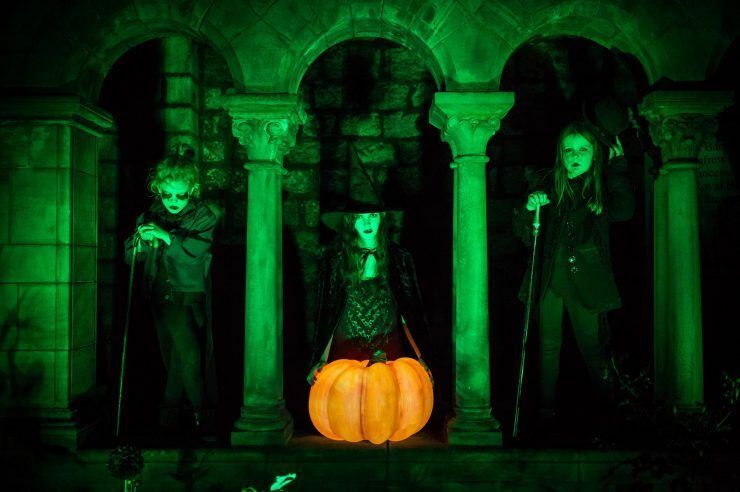 Paisley Halloween Festival returns on Saturday 27 October and will see the town transformed into a spectacular, illuminated, ghoulish wonderland. Expect flying witches, giant pumpkins, breathtaking aerial displays, a mardi gras-style parade and much, much more. Inspired by Paisley’s dark and deathly 17th-century witch history and set against a backdrop of the town’s historic steeples and spires, Paisley Halloween Festival is one of the major events as part of Scotland’s Year of Young People 2018 celebrations. You can vote for Paisley in the competition by clicking HERE – and make sure you tell all of your friends and family to do the same! Voting closes at midnight on 30 October and the event receiving the most votes will be crowned “The UK’s Spookiest Halloween Event 2018” on 31 October (Halloween Night). The winning event will also receive an official award certificate from Holiday Lettings (of TripAdvisor) to commemorate their win. We jumped at the chance to choreograph a piece involving 50 young people for the Flying Witches performance. It will look spectacular to have witches swarm the Town Hall as aerialists fly 120 feet up in the air.